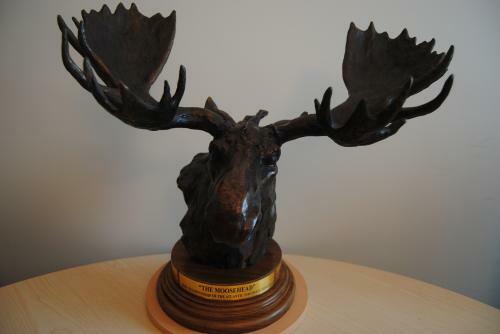 The Moosehead Cup is awarded annually to the AFL Championship Team. The Jack Irving Trophy is awarded annually to the AFL team with the best regular season record. The Atlantic Football League recognized the outstanding contribution of Mike Dollimore as builder and head coach of the UNB Red Bombers Football Club. Through his work and wisdom Mike has enriched the team he coached and the league in which he participated. His efforts always sought only the best for his players and for the AFL. 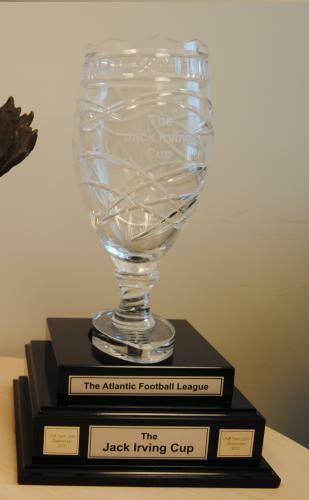 The Atlantic Football League recognized the contribution of Terry Allen as Commissioner of the Atlantic Football League. Through his skills at organization and his openness to discourse, he strengthened the AFL through its critical years of growth. His integrity and love of the game are now part of our tradition through his efforts as our Commissioner. The Atlantic Football League recognized the contributions of Dave Grandy as the head coach of the UNB Saint John Seawolves Football Team. His passion for football at all levels of play and his strength of purpose coupled with his integrity of character has shaped the Seawolves and the Atlantic Football League.